The communication complexity of two-party protocols is an only 15 years old complexity measure, but it is already considered to be one of the fundamen­ tal complexity measures of recent complexity theory. Similarly to Kolmogorov complexity in the theory of sequential computations, communication complex­ ity is used as a method for the study of the complexity of concrete computing problems in parallel information processing. Especially, it is applied to prove lower bounds that say what computer resources (time, hardware, memory size) are necessary to compute the given task. Besides the estimation of the compu­ tational difficulty of computing problems the proved lower bounds are useful for proving the optimality of algorithms that are already designed. In some cases the knowledge about the communication complexity of a given problem may be even helpful in searching for efficient algorithms to this problem. The study of communication complexity becomes a well-defined indepen­ dent area of complexity theory. In addition to a strong relation to several funda­ mental complexity measures (and so to several fundamental problems of com­ plexity theory) communication complexity has contributed to the study and to the understanding of the nature of determinism, nondeterminism, and random­ ness in algorithmics. There already exists a non-trivial mathematical machinery to handle the communication complexity of concrete computing problems, which gives a hope that the approach based on communication complexity will be in­ strumental in the study of several central open problems of recent complexity theory. 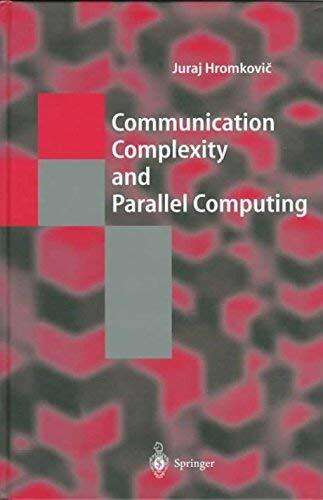 This book is devoted to the investigation of a special topic in theoretical computer science - communication complexity as an abstract measure of the complexity of computing problems. 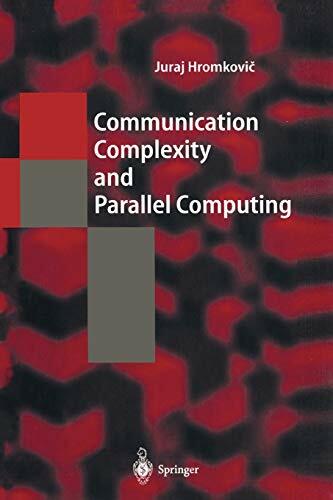 Its main aim is to show how the theoretical study of communication complexity can be useful in the process of designing effective parallel algorithms. 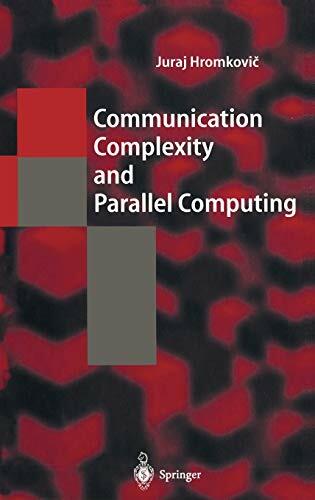 The author shows how to get important information about the parallel complexity (parallel time, the number of processors, the descriptional complexity of the topology of the parallel architecture) of specific computing problems from knowledge of their communication complexity. The book is written as a textbook for undergraduate and graduate students and provides a careful explanation of the subject as well as motivation for further research.